The Quick Release Buckle Tourniquet is a useful set of first aid tools to keep in a doctor's bag or emergency kit. It features an elasticated material with a secure plastic buckle, which is easily released with a quick, one-handed manoeuvre. It is particularly useful in situations when a victim is experiencing severe blood loss. If faced with a situation where someone is bleeding extremely heavily from either a major artery or vein, they can lose a lot of blood very quickly and the bleeding is likely to pulsate in time with the heart. Quick actions must be taken, which is where tourniquets can come in handy. The tourniquet is elasticated to provide a secure fit and apply adequate pressure to the injured area without pinching and causing unnecessary discomfort to the patient. 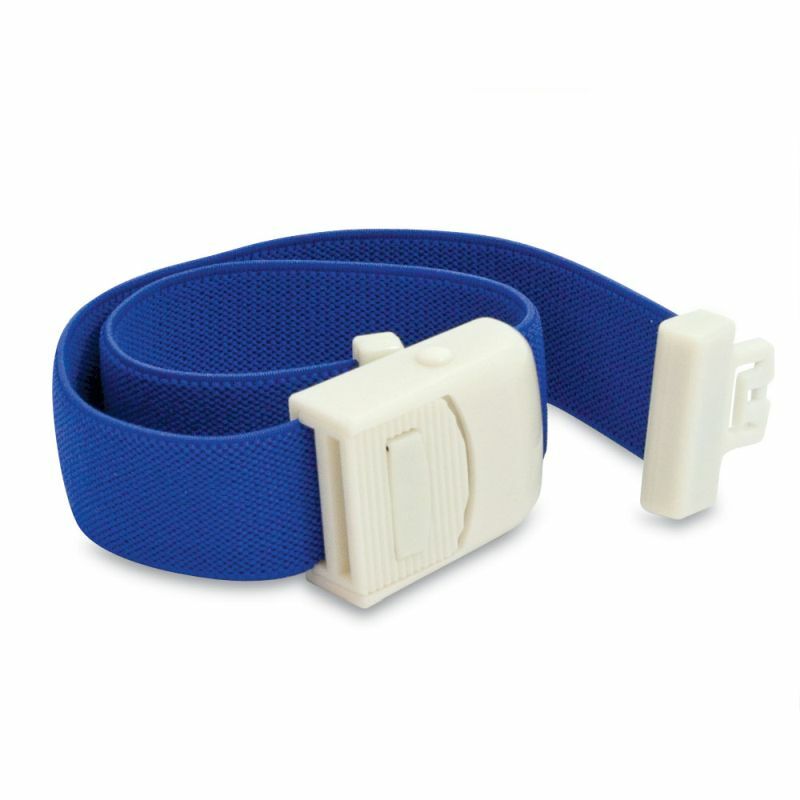 The plastic buckle makes sure that the tourniquet is not easily unfastened, however is easily released in a single, one-handed motion. Though it is not recommended for use by the general public, the tourniquet is a great tool for any trained medical professional to deal with wounds while hindering severe bleeding, and can often save lives. This item contains latex, so will not be suitable for those with latex allergies. The Quick Release Buckle Tourniquets are usually dispatched via First Class Royal Mail and delivery should be within 1 to 3 working days.